The best crimping tool available for making custom wire sets or wiring. Contructed with a heavy duty hardened steel frame with molded non-slip hand grips. An adjustable ratchet mechanism produces consistent factory style high quality crimps. 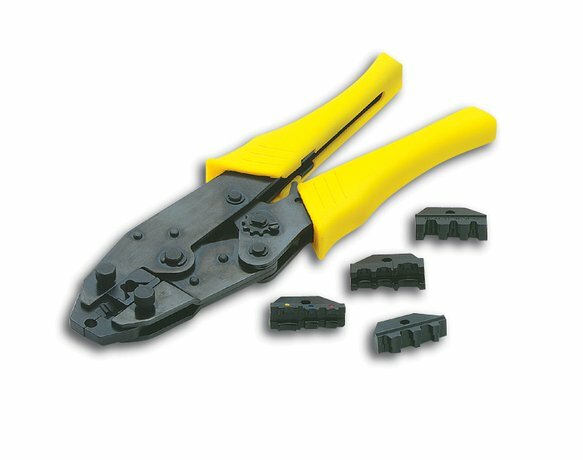 The heavy duty motorcycle wire crimp tool is supplied with three removable stripping and crimping die jaws, one for primary wire terminals, and one for pre-insulated terminals.